Need a lower timing belt cover - Miata Turbo Forum - Boost cars, acquire cats. You want part #B660-10-501E. If the engine you get a used one from has ever leaked, it's highly likely the cover is swollen and warped (like the one you pictured). They then tend to fit poorly and rub on belts and pulleys. Grab B660-10-521B as well, that's the middle one. The upper one rarely has issues. Together, those two are $51 + shipping according to my mazda comp account, not too terrible if they save you from having to tear down the front of your motor. 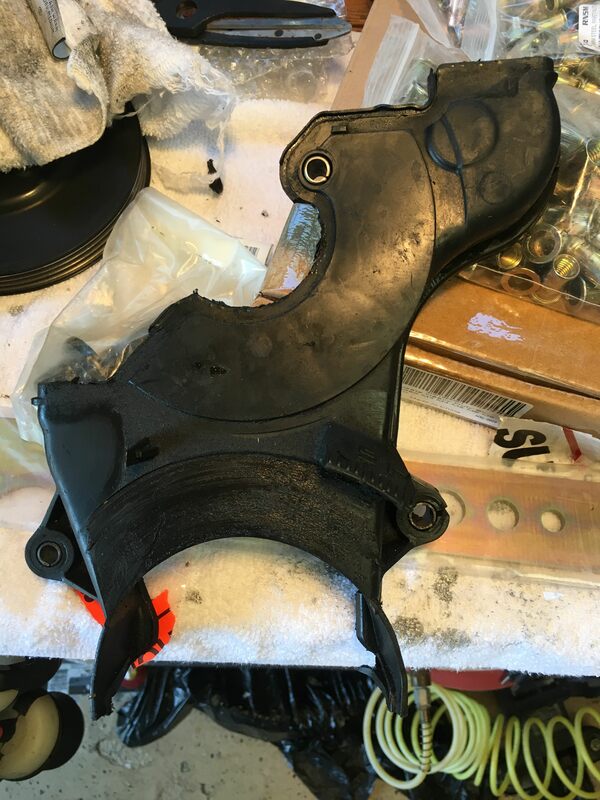 Lower timing belt cover needed?